When Cupertino announced the Apple Watch Series 3 at the “Let’s meet at our place” event on September 12, there weren’t many surprises. We had heard most of it already, through leaks and rumors. Still, Apple had a few tricks up its sleeves, and the latest generation of the wearable device has some standout new features that are sure to please. Let’s take a long, hard look at the Apple Watch Series 3 features that matter. 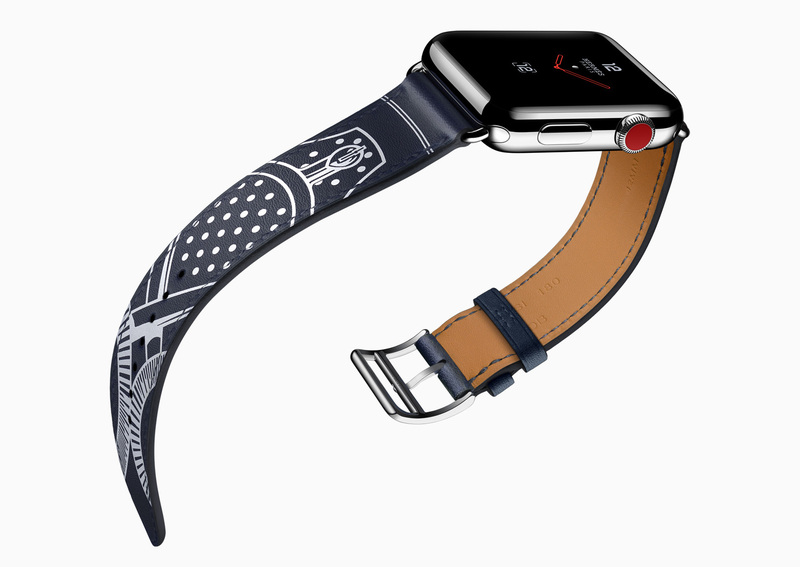 One of the highlighted Apple Watch Series 3 features during the presentation was unarguably the cellular capability of the wearable device. The LTE-capable models will use the same mobile phone number as your iPhone, and everything automatically switches over when you move far enough away from the handset to break the connection between the two devices. Apple has, from what we saw and heard, greatly improved the microphone’s ability to cancel out ambient noise. That should make calling a more pleasant experience, but we still don’t know if the speaker has been improved enough to allow comfortable calling without headphones. To aid in reception, the entire display screen of Apple Watch Series 3 is a UMTS and LTE antenna. The red accent on the Digital Crown, which some thought was going to be the location of the antenna, is purely to differentiate the LTE wearable device from non-LTE Apple Watch models. Next, Siri on the Apple Watch can finally speak to you. When you ask Siri questions on the Apple Watch Series 3, you’ll be able to hear her respond using the wearable device’s built-in speaker. If you’re on the fence about why this is important, imagine this. You need to send a text message while you’re driving. You can dictate that message using Siri on your Apple Watch, but making sure she got it right isn’t safe or simple. With older models of the Apple Watch, you have to read the text message for yourself, which is not only unsafe, but illegal in many jurisdictions. Even though there aren’t many cosmetic changes to the Apple Watch Series 3, plenty has changed under the hood. The new wearable device has a more powerful processor, and there’s also a new W2 wireless chip. The W2 wireless capability allows faster Wi-FI connection and better power consumption. In fact, Apple says that Wi-Fi speeds are now 85 percent faster, and the Bluetooth and Wi-Fi capability of the wearable device 50 percent more power-efficient. That means faster internet connections without sacrificing battery life. Now, let’s say you’re out on your morning jog, and want to listen to some tunes while you exercise. With older versions of Apple Watch, you’d need to either bring your iPhone with you or upload the playlist to your wearable device. With this prime app included in the LTE-enabled Apple Watch Series 3 features, you don’t have to do all of that that. The wearable device has a full data connection even when you leave your iPhone behind. That means you can stream your favorite songs straight off of your wrist. Apple Music is even included in watchOS 4, so you have access to all of your playlists and the full Apple Music library of more than 40,000 songs. Finally, one of the drawbacks of the Apple Watch has been its inability to track elevation gains or stair flights climbed. That’s because the older generations lacked a barometric altimeter to sense that information. Apple Watch Series 3, on the other hand, has the barometric altimeter needed to better track activity, flights climbed, and outdoor workouts involving elevation gain. There are plenty of great new features in Apple Watch Series 3, even though it might not have seemed like it during the keynote. The only remaining question is, which model should you buy. Stay tuned for information about what’s available, and when, so you can decide.